Sydney is as famous for a massive night out on the town as it is for the beautiful beaches and beautiful women. From the cruisey vibes of Bondi and Coogee, to the infamous King’s Cross there is certainly no shortage of pubs, clubs music and mayhem! Finding accommodation for a Buck’s party however, now that can be a challenge! Here at Wicked Bucks we’ve scoured the city and have located the perfect accommodation options to suit groups of all sizes. From luxury boutique hotels to fully self-contained apartments all of our rooms are centrally located and walking distance to everything. So sit back, relax, and let us do the hard work for you. 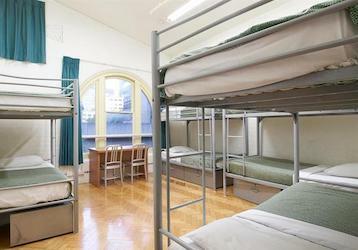 Sydney’s answer to budget accommodation is great service, great location and small price tag. Right in the heart of Sydney’s Chinatown you’ll be walking distance from great bars, the best night clubs and the ultimate late night drunk food for you walk home. 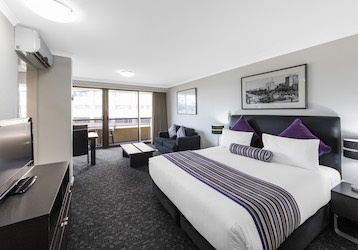 A hop skip and a jump from the Entertainment Centre, Darling Harbour, and the Aquarium, this affordable accommodation means you’ll get all the benefits of a 5-star resort without the cost. Finding Buck’s party accommodation can be very difficult at times, here at Wicked Bucks, we’ve done all the hard work for you. All you have to do is drop your bags, fix your hair and head out the flurry of bars nearby! You’re most difficult decision will be where to start. If you simply can’t choose, opt for an in-room party. These apartments cater for all group sizes and allow for all activities that must remain behind closed doors. All the fun of a Buck’s party without having to leave your accommodation! 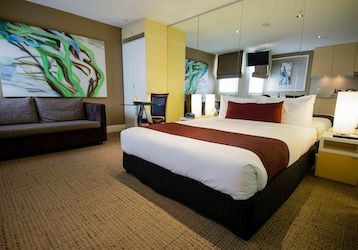 A boutique hotel in prime party location, our premium Sydney accommodation will leave you feeling like an A-lister. We know you’ll need somewhere great to nurse that hangover so we’ve sourced the best place to rest your throbbing head Sydney has to offer. For when space matters, the split level two Bedroom with open plan living and kitchenette area is not only stylish but spacious enough for your whole crew.